This three part series examines the rise of India as an economic giant, the threats that India faces in this remarkable rise, and implications for Pakistan. As the twentieth century dawned, the world had continued to consolidate the technological boom during prior two centuries. This technological progress started with the invention of the printing press in fifteenth century. This invention quickly enabled mass availability of knowledge. Man began exploring the world around him more intently, by compounding the knowledge already gained by the earlier pioneers. As the scientific renaissance kicked in, man began accumulating more wealth by producing, discovering and innovating further. With the arrival of the scientific renaissance, the human output growth rate that had remained close to zero for thousands of years before, started rising at a good multiple of its population growth rate. The arrival of scientific renaissance coincided with incremental social awareness that began permeating the human consciousness. The United States came into being right in the midst of the great human renaissance that was exploding across the western world. The renaissance had begun moving forward in fits and starts towards institutionalizing the ideals of human liberty and freedom. The United States, with its rich natural resources and eager migrant entrepreneurs, began taking a lead in the social and scientific revolution that had begun sweeping the western civilization. 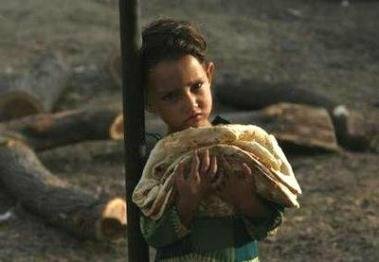 The Daughter of Pakistan, in search for bread and water…….the quest continues and so her questions…. [Dawn Online] HYDERABAD, June 11: Man is mortal but legend stays. 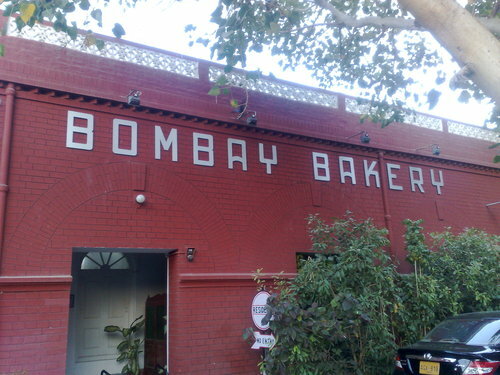 It can truly be said for late Kumar of Hyderabad’s Bombay Bakery, as its cuisine left an everlasting flavour on the taste buds of those lucky, who had the opportunity to relish these. Last week, a former Minister while referring to the budgeting process remarked how the budget documents were accessible to only 3% of the parliamentarians. A lady MNA whom I met after the budget speech was ploughing through the shabbily printed pink documents, looking for the allocations for regulatory bodies and both of us could not find the relevant figures. This should be enough to describe the inaccessibility and obfuscated nature of the budgeting process in Pakistan and several other developing countries. Executive board-room syndrome: Lack of public consultation in the budgetary processes is another hallmark of how the executive formulates the national priorities and finances them. Our state considers the people as ‘beneficiaries’ and ‘recipients’ of the wise decisions made in air-conditioned secretariats and donor board-rooms. This is why the economic and social policies are seldom reflective of the will of the people. Pakistan’s deep rooted authoritarian tradition explains this dilemma. But the civilian governments have rarely attempted to change this trend. More often than not, they also rely on the same evergreen bureaucrats. Our present elected government has chosen economic managers who are former international bureaucrats representing the good-old Washington Consensus. Lack of participation: Across the globe, pre-budget consultations are exercises seeking public support and inputs for policy. Countries in democratic transition are adopting participatory decision-making processes. There is also a growing consensus that budget decisions need to be subjected to public scrutiny and debate. Earlier, our government organized seminars in big cities and consulted the business, middle classes and other stakeholders to frame the policies. This time last-minute public consultations focused on the VAT issue. Quite obviously, for purely political reasons, these consultations have failed and we have a higher GST rate thereby more exposure to inflation.Development charades: The development allocations at the time of the budget announcement are almost always notional. Invariably these are slashed in the last quarter when fiscal crunch hits the government (40% in the last fiscal year). The new PSDP is Rs 663 billion but it remains to be seen if this will hold. How has it been estimated and prepared; only a handful of people know. The overall ceiling is guided by the NFC award. But, does it address the key development challenges? Perhaps not. Overestimated figures from the Friends of Democratic Pakistan were also factored in the previous years and even this year the allocations reflect what is expected and not necessarily what we have or need. Lobbies who always win: As before, the big business, the landlords and the security establishment benefits from the limited resource base. The business lobby has avoided VAT at least until October, no mention was made of agricultural income tax in the budget speech and of course the defence budget is higher by 17%. The local vehicle-manufacturing industry will continue to enjoy protection. Much of the defence budget is hidden under the “General Public Services” category as the salaries and pensions are not reflected in the defence category. Inflation will rise: Contrary to various claims, inflation is here to stay. Higher energy prices and increased GST will lead to further increase in prices of commodities with a direct impact on the poor and the fixed-income groups. Apparently a study has been carried out to disprove the link between GST and inflation but it is not in the public domain. If and when VAT is imposed, inflation will further increase whether we like it or not. Saving graces: Three key policies are somewhat promising. First, the focus on energy conservation, by providing 30 million energy savers, is a step in the right direction. The allocation of Rs. 40 billion for Benazir Income Support Programme and lastly the increase in salaries of the government employees are commendable policy decisions. It is not clear, though, as to how far the pay and pension commission’s recommendation was taken into account while finalising these figures. Sterile debate: Given the lack of budget awareness, the new gurus of Pakistani conscience have been holding endless talk shows on the budget. The commentary by TV anchors and their ‘political’ hosts is emotional and largely uninformed. Debate is good but spiraling ignorance is something that we must avoid. Similarly, the polemical statements in the National Assembly are intriguing. For instance, the leader of the opposition criticized the increase in government salaries for the adverse fiscal impact on the Punjab government, and at the same time lambasted the government for not doing enough for the vulnerable. MQM’s refrain that electricity should be cheaper in Karachi is also beyond logic. Pakistan’s democracy is nascent and fragile. However, it is also an opportunity for the budgeting process to be reformed. The government should involve the media and civil society in raising awareness and building consensus on reform. In several parts of the world, accessible materials to increase budget literacy are commonly used. Similarly, it is time that the legislators are made more familiar with the budget process to enhance public oversight. Techniques that track inter-governmental expenditures can help reduce corruption and waste. All of this requires deepening of democracy, civil service reform and the emergence of a responsible media. We need a light year to get there. My film thesis research has recently made me visit a piece of land that, despite its significant historical importance , has been brutally ignored in the pages of history. Surrounded by Afghan border, conservative feudal culture and tribal areas that have been in media attention in the recent past due to Taliban, that area is none other then Hashtnagar which stands as its own example in the history of class struggle in Pakistan . Consisting of a cluster of eight villages, Hashtnagar is one of the two divisions of Charsadah district in Pakhtoon Khawah (NWFP) and is one of the province’s most fertile lands known for its sugar cane production. The element of militant armed Socialist struggle differentiates Hashtnagar from the rest of the leftist movements in Pakistan. Weaving red flags at the roof tops, Socialist symbols painted on the walls, portraits of revolutionary figures, left wing cultural activism and, above all, the daily life of the peasants and workers reflect the liberation that can be felt in the whole ambiance of the area. This liberation is the outcome of the socialist struggle of many decades that has played an important role in shaping the lives and minds of the native people. During the late 1960s and early 1970s, Maoist ideas gained considerable popularity and influence in left politics and the labour movement, and made an impact on Pakistani mainstream politics, which was out of proportion to the Maoists’ political strength in the overall balance of power. Neither class structure nor the ideological and political composition of the state apparatus warranted any such advantage to Maoism. Clues to it are to be found in the peculiar power game over security and influence going on at that time between several states in that region and, perhaps, more crucially in the internal political situation surrounding the rise to power of Zulfikar Ali Bhutto (1971-77). His fall from power, the coming into power of an Islamist regime under General Muhammad Zia-ul-Haq (1977-88), and the Afghan jihad spelled disaster for leftist politics. In the 1980s, Maoism faded into oblivion.